Eshakti.com contacted me a few months ago to work on a collaboration with them, and I’m super pleased with the results. eShakti is an online women’s clothing store that gives you the option to customize your clothing! How awesome is that?! There are several ways you can customize. First, you can take all of your specific measurements and have the clothing tailor made to fit your body. As someone with a tiny waist and big hips, I loved being able to get something that actual follows my curves. Second, you can choose the length of the sleeves and the length of the hem. My hem was a little too long, but my mother-in-law was able to hem it. The first try, I ordered a coat and it was completely not what I was looking for. eShakti worked with me to return the coat (super easy process) and I then picked out this dress. It’s a ponte knit, which is very comfortable. I especially liked that it has pockets!!! If you would like to make a purchase from eShakti, there’s 2 ways you can save. Use promo code BRIGHTONABUDGET for 10% off your order*, or if you’re new to their website, sign up on their homepage (look up at the red bar at the top of the page) for a $35 gift coupon! * Please note: This discount code is not applicable on clearance / sale, gift cards & overstock categories, or on previous purchases. These pictures were taken by my wonderful friend, April Brooks, in downtown Lexington. April does photography on the side, and she’s a hoot to work with! I was provided with this dress by eShakti in exchange for a review, but all opinions are my own. love that dress on you and the accessories are a perfect combo! That dress fits you perfectly! 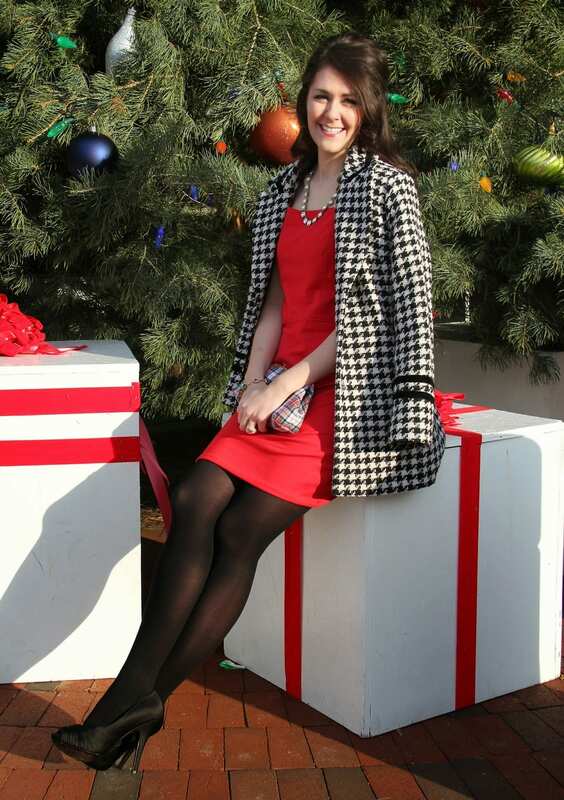 Love it styled with the houndstooth coat and that plaid clutch! You look stunning in that dress! 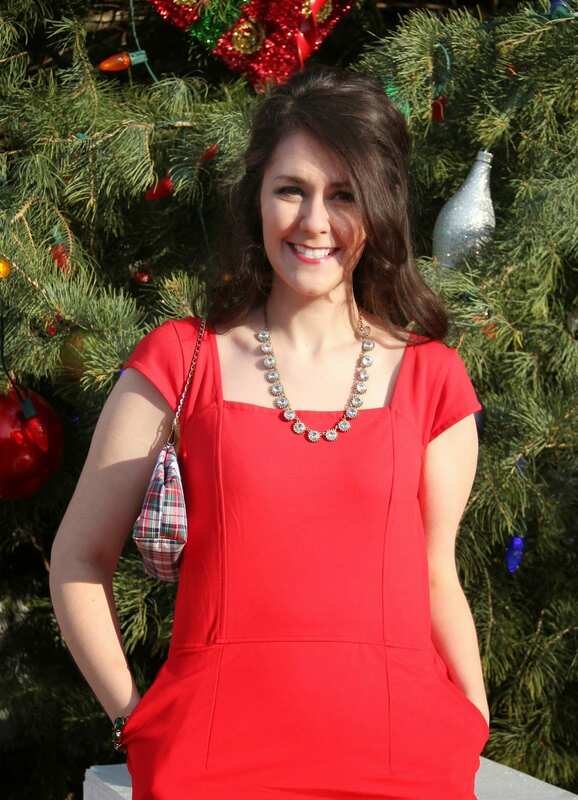 Looks like it was the perfect dress for the holidays. And that houndstooth coat – amazing! 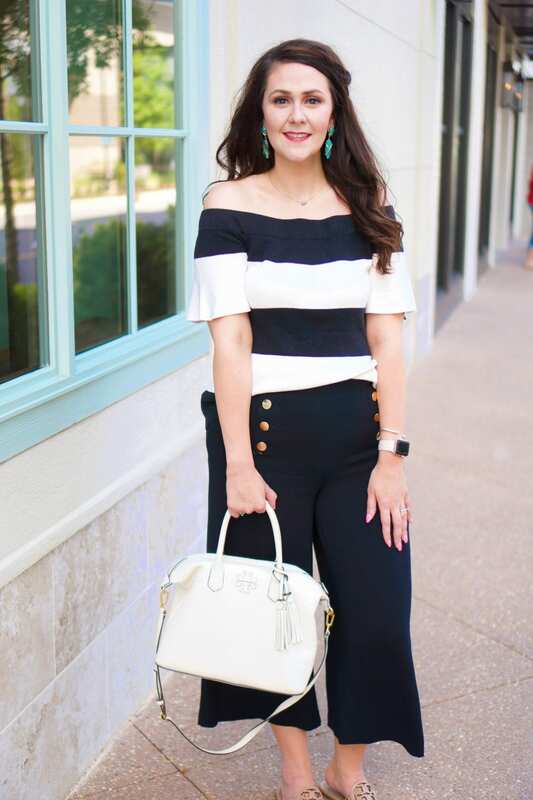 Love this look for you, Tif! Love the dress on you! Perfect for Christmas and it looks great with the coat too! Cute necklace and I think the black & white coat brings the outfit together really nicely!! Pretty dress!! You can't go wrong with red for the holidays. I love that clutch!! What a pretty dress! I love it with your houndstooth coat! Makes a perfect holiday look! This dress looks fab on you! I love eShatki! Thanks, Rachel! I felt lovely in it too! It's just a happy outfit. Thanks, Shaunacey! I'm really glad I picked it! Thanks, Jill! It's awesome having the customized fit! Thanks, Brittany! Houndstooth is a great print to wear with bright colors! Thanks, Natalie! 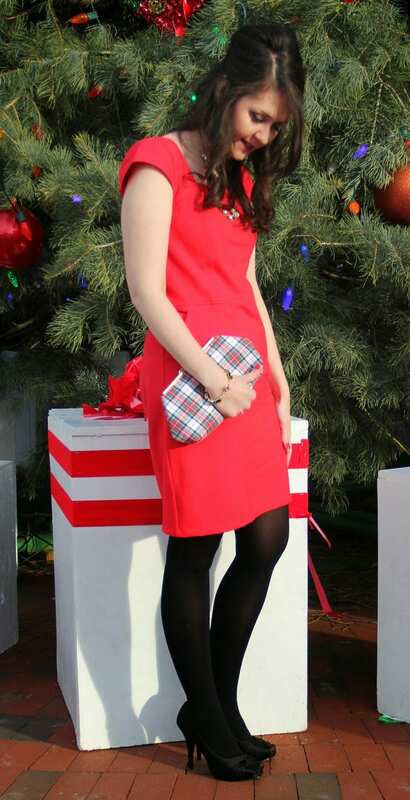 Red is a color I tend to shy away from, but I really embraced it over the holiday season! Thanks, Kay! And girl, this coat makes anything look perfect! It's a great way to finish off any outfit. Thanks, Emily! I wear this necklace WAY too much! Thanks, Whitney! And I love the clutch as well–I'm so glad I bought it! Thanks, Becky! They have such fun stuff! Thanks, Caitlin! I'm alllll about the pockets!